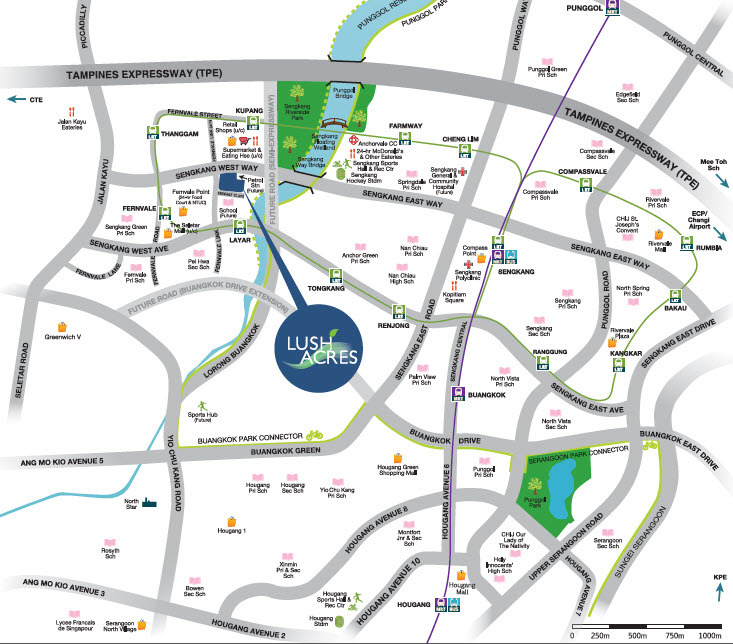 Lush Acres EC is a 99-years leasehold Punggol EC development located Sengkang West Way / Fernvale Link in District 19. With expected completion in mid 2016, it comprises of TBA towers with TBA units and stands TBA storeys tall. It is situated right beside Kupang LRT Station. Future residents will be able to access the nearby Compass Point and Greenwich V which is a short drive away for some family fun and gatherings. A truly unique lifestyle awaits you. Many other places of interest including Waterway Point which is scheduled to open in 2 years time as well as recreation venues such as Sengkang Sports and Recreation Centre are within the vicinity of Lush Acres EC.